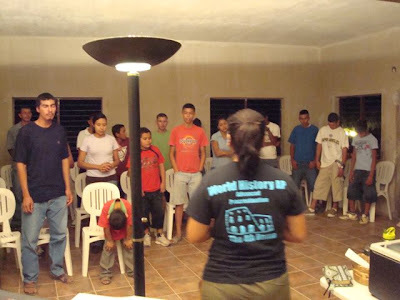 The Silbermans: VIDA Abundante (Abundant LIFE) meeting. 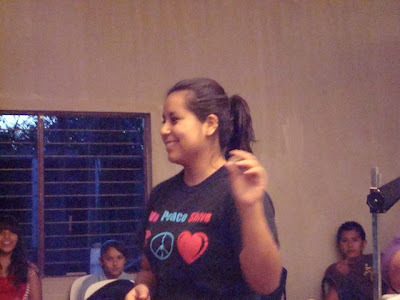 Last night at youth group, Sandra, one of the Student Leaders, gave the Bible Study. She did a great job sharing about Joshua and the Battle of Jericho relating the walking around the walls to things in our life that do not need to be there. Maybe we need to “walk around that wall” and believe that God will tear it down. God gave Jericho into the hands of Joshua and Joshua believed.